The marketing efforts of an enterprise are directed by marketing management philosophies, also called as marketing concepts, so as to gain the desired exchange outcomes. It determines the outlook of the producers. In this context, the product and production concepts are often compared and contrasted. However, the two differ in the sense that product concept states that the consumers prefer the products which are best in terms of quality. As against, if we talk about production concept proposes that consumer would like to have a product which is widely available as well as reasonable in price. So in this article excerpt, you will find the differences between product concept and production concept. Meaning Product Concept is a marketing philosophy which assumes that customers admire quality-rich products, with advanced features. Production Concept is an approach which believes that customers are willing to buy the products which are easily available at low prices. Means Improvement in product over time Improvement in the production efficiency and distribution coverage. Objective To provide better quality products to the customers. To achieve the economies of scale. Product concept, as the name suggests concentrates on the features, quality and performance of the product. In other words, product concept states that the consumers will prefer those products that are superior to other products in the market, in terms of their specifications and quality, meaning that the marketer is aware that whether the product offered will fetch demand or not or whether the product design will increase the sales or not. So, the firm invests a lot of resources like money, time and manpower in order to research the needs and expectations of the target audience from the product. Therefore, it requires continuous improvement in the product, to make it better. The managers often believe that a product with outstanding quality and features will create its own market. However, they are unaware of the fact that a product cannot be successful in the market if it is not priced, advertised, distributed and sold in right manner. Nevertheless, the product concept focuses on the product rather than the customer needs which are to be satisfied and so it results in ‘marketing myopia’. The product’s demand is greater than its supply. 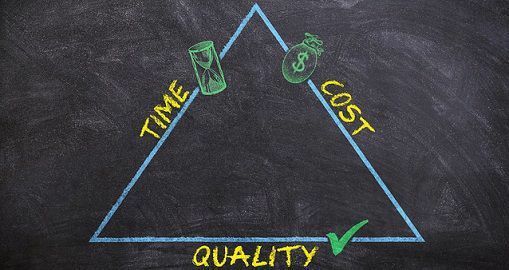 The cost of the product is very high, which requires good productivity, in order to reduce it. Production Concept is suitable for the firm when it operates in a market with high growth prospects as well as the anticipated economies of scale is noteworthy. In the 1950s this concept worked because there were only a handful of producers, and consumers are many. But, at present, the concept can work only when the marketers object to expand the market. That is why, the philosophy hardly exists, as there are only a few marketers that follow it. Product concept refers to a philosophy which is based on the assumption that customers will prefer those products which are good in quality, specifications and performance. On the contrary, Production Concept is a marketing phenomenon that holds that customers are ready to buy the product which is cheap in price and easily available. Product concept can be followed by improvement in the product. Conversely, production concept can be practised by upgrading the production efficiency and distribution coverage. Product concept aims at providing quality rich products, with innovative features and outstanding performance to the customers. As against, aims at achieving economies of scale, through mass production and improving the supply chain. While in a product concept, the product is given the utmost preference, in production concept, the production of goods is given top priority. Production Concept is an old concept and at that time increase in production of the goods was the major concern of the firms, as whatever the firms produce has worth for the customers. At recent times, this concept is no longer in use as customers are quality sensitive. And, the demand of the product automatically increases, if it has the required quality and fulfils customers expectations thoroughly. Indeed, if the company needs to survive in the long run, it must follow product concept, by making the customers habitual with the quality products offered by the company.